AGICOA is an international, not-for-profit organisation established more than 30 years ago to track and distribute royalties on retransmission of audiovisual products of independent producers. Almost 90 people located in 11 countries are involved in managing rightsholder interests. 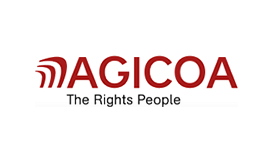 AGICOA used a homemade core business application, based on Oracle Forms technology, to support all of their business processes. This technology was nearly obsolete and its development roadmap was unclear. 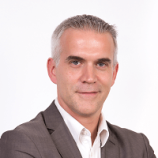 To resolve this issue AGICOA initiated a modernisation program to overhaul its application. Secure the migration path for 150+ Forms. Maintain and involve the internal IT team. Based on our modernisation study comparing several technical solutions, AGICOA choose to modernise their core business application the safest way: Oracle ADF for development and Oracle Data Appliance for infrastructure. We proposed an incremental roadmap strategy and began by upgrading the platform to benefit from the latest Oracle Forms technical functionalities. We were then able to migrate the simplest component – the web declaration portal – and based on this success we started the core business modernisation. To minimise regressions and reduce development time we retained the main business logic in PL/SQL and only the validation and some basic rules were reimplemented. We secured the migration path by integrating legacy Oracle Forms screens directly into the new ADF application. All modernised forms were designed using mockups and validated by business users before implementation. A responsive design ensured an optimal viewing and interaction experience across a wide range of devices. After training, internal Forms developers were quickly involved and coached in the modernisation process. Integration of Oracle Forms legacy screens within an ADF Application permitted mixing of modernised screens with legacy ones, a primary advantage of which is to propose only one application to the users. Another important benefit is the "escape plan": to be able to reactivate legacy screens instead of modernised ones if, needed. Additionally, this progressive migration made user adoption much easier. The end of Oracle Forms lifetime support policy jeopardised AGICOA's core solution. 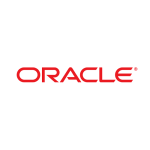 With Oracle ADF, the lifetime support will be secure for many more years. The legacy solution used two different technologies: Oracle Forms and Portal. With the adoption of Oracle ADF as a single development framework, AGICOA streamlined their developments. Moreover, we improved reusability and simplified maintenance by developing a common business library to centralise all reusable code and which can be used by any application. The AGICOA solution is used by both customers and partners. This implies using a large panel of devices and screen resolutions. We built a responsive design solution that automatically adapts the layout to the viewing environment and is also a cost-effective alternative to a dedicated mobile application. Forms developers were trained on ADF at the beginning of the project and were quickly involved in simple screen development. Then, pair programming, coaching and an adapted learning curve enabled them to master the development until they were able to work on more sophisticated screens, whether on the frontend or on the backend.